Posted by Shawn Kriewaldt. on Wednesday, May 18th, 2016 at 11:48am. 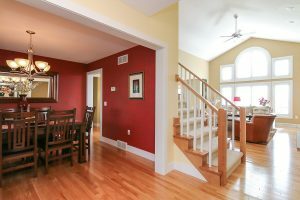 Welcome home to this beautiful 5- bedroom 2-Story at 539 Fargo Trail, Middleton. As you enter this fabulous two - story home with finished lower level you are greeted by the formal dining room and great room. Your great room features a floor to ceiling stone fireplace with a beautiful mantel and built-ins on each side and large windows with custom plantation shutters overlooking your backyard. 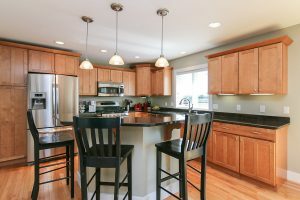 Open to your kitchen and dinette you'll find stainless steel appliances, plenty of storage, breakfast bar and granite counters. Off the kitchen is a large laundry and mud room and from your dinette you will access your large composite deck overlooking the back yard. There's also a wonderful 3-season porch off your great room for those summer days perfect for enjoying company or just relaxing with a good book. To complete your main level living is the master suite with a cathedral ceiling, large window with plantation shutters, master bath with jetted tub, two-sink vanity. Your open staircase to the second floor leads you to 3 bedrooms and a full bath. 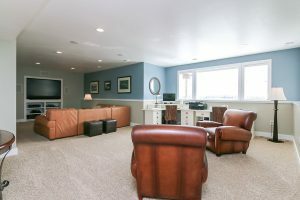 Your exposed lower level boasts a large family room with TV & speakers for your own home theater, 5th bedroom, full bath, exercise room and storage! Close to the Beltline and Middleton in Middleton-Cross Plains schools you'll love the feel of the countryside yet close enough to the city - the best of both worlds! The back yard backs to University of Wisconsin lands. The Madison Neighborhoods Real Estate Team at 608.729.7351 or click here to search properties.